When it comes to making your house a home, a fence can be a great addition for a number of reasons. Maybe you’re looking for more privacy or security for you and your family? Perhaps your neighborhood is also home to many animals and critters that often find their way onto your property? Regardless of your reason, a proper fence is a must for any home and we want to help give you the tools to build it. 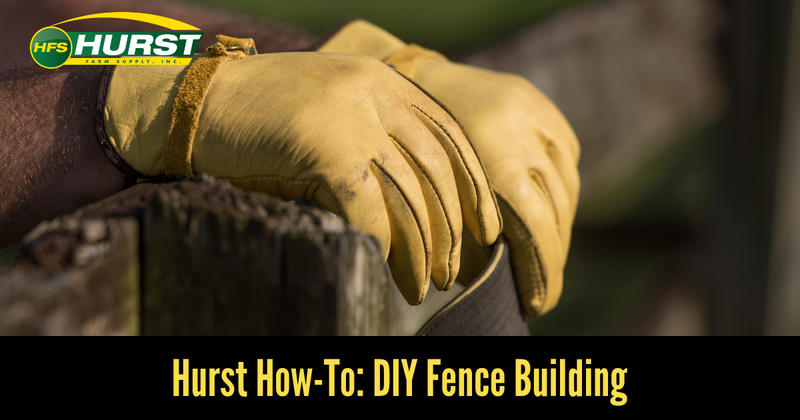 That’s why we’ve put together these few simple DIY tips for building a fence that you can be proud of. After making a decision on the type of fence you plan to build, the first step is determining your exact property line and how you want to position your fence in relation to it. It’s also important to research the different fencing guidelines in your area, as some areas may require a building permit. Once these steps have been completed and your ideal fence line has been marked with stakes or spray paint, measuring can begin. Using a measuring wheel, measure the entire outline of your fence perimeter. Once you have determined where and how wide any gates are going to be, subtract that footage from the total perimeter footage. Then divide that by the panel length you have chosen to use. This will give you the total number of panels you need. Since fence posts are generally set six to eight feet apart, you can also use your total perimeter footage to determine the number of fence posts you’ll need, as well. Of course, these materials are rendered useless without the proper tools, many of which you can find at your local Hurst Farm Supply! We carry a wide selection of quality tools that will help you get this job and every other job around your property done right the first time. In some situations, you may need to tear down an old fence in order to build the new one. We carry high-quality Stihl products such as chainsaws, trimmers, and brush cutters that can aid in the removal and tear down process of the old fence. You’ve made the measurements, you’ve purchased all the necessary tools and materials, you’ve dialed 8-1-1 to locate any buried utilities on your fence line, and now it’s time to dig. Using your new post hole digger, dig a clean hole that is approximately two to three times the diameter of the post and half as deep. Depending on the climate in your area, however, you might have to go a bit deeper and below the frost line. For holes deeper than three feet, a plumb bob will help you determine whether or not the hole is plumb and uniformly shaped. Once the first hole is dug, you can move onto the next. Keep in mind that each post should be about six to eight feet apart, depending on your panel length. Precision and consistency are essential! Once your holes have been dug, your posts can then be set with the help of about four to six inches of concrete mix. If you’re using wooden posts, however, start with about four to six inches of gravel first. This will help keep the grain of the soil and allow for proper drainage. Position your post in the middle of the concrete mix, plumb it with a level, and allow time for proper drying. Drying time can vary depending on the type of concrete mix you choose. Once the concrete has dried and cured, it’s time to actually put the fence up. This step is a fairly simple one that can be completed with deck screws, nails, and a level. This last step is also simple. Once your rails are in place, you can begin attaching your pickets with deck screws or nails. Don’t forget the level! There! That wasn’t so hard, was it? Whether you’re trying to keep things in, keep things out, or just add a little something to your property, fences are a great addition for any home. 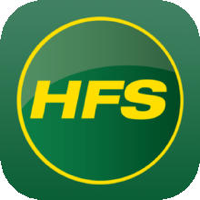 At Hurst Farm Supply, we believe in your ability to “DIY” and we’re eager to be there to help in any way that we can, especially when it comes to your lawn. That includes giving you the tools to accomplish all of your DIY projects. In our expansive inventory, you’ll find many of the tools needed to build a fence, take care of your lawn, and much, much more. Get started by clicking below to download your free Hurst Lawn Care Guide!